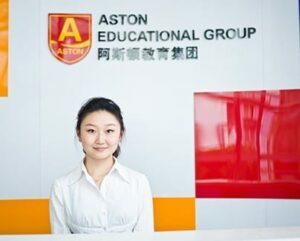 Accredited Online TEFL Courses with Free Job Placement Assistance! Why choose OnTESOL? Our practical online TEFL courses will train you to create professional lesson plans using the Communicative Approach. You will be assigned an accredited teacher trainer who will assist you throughout the program and provide you with extensive feedback on every assignment. Your TEFL course also includes a job assistance package, so you can apply for TEFL jobs using our recruitment services or the TEFL job board. Study TEFL online from the comfort of your home and get certified quickly to teach English abroad! The 140-hour Specialized TEFL Certificate course is perfect for those who are going to teach English abroad in a public school program. Get the best training for the best value! 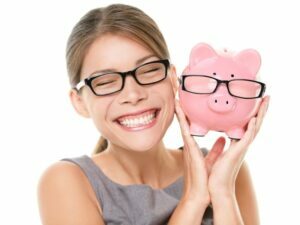 Save $100 when you combine the advanced 120-hour course with the 20-hour Teaching English to Young Learners specialist. 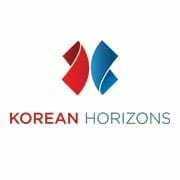 You can also combine the advanced 120-hour program with Teaching Business English and / or Teaching IELTS. All our courses are recognized by TESL Canada! You can complete a separate 20-hour Practicum module anywhere in the world to get a credential that is equivalent to CELTA and qualify for the best teaching jobs! 5 Reasons to Choose OnTESOL! Receive free job placement assistance in the top teaching destinations. Apply for TEFL jobs while taking your TEFL course with OnTESOL! All our TEFL courses come with professional tutor support! Your tutor will answer your questions and provide you with extensive feedback on the assignments. This feedback is a very important part of the learning process. Your tutor will make comments on your assignments and give you a summary of the main areas that need improvement. You can follow up with questions and engage in an academic discussion until you have understood the topic. At OnTESOL, we strive to make the online TEFL experience as similar as possible to an on-site course. Coventry House International, the parent organization that developed our online TEFL certification courses, has over 12 years of experience offering on-site Trinity CertTESOL and TESL Canada courses, and our goal is to transfer that on-site experience into an online format in order to offer high-quality and affordable TEFL courses. The most important reason for taking a TEFL course is to learn how to create a professional lesson plan using the Communicative Approach. When you know how to write a lesson plans using the Presentation, Practice, and Production format, your students go through the natural language acquisition processes. The lesson planning techniques that you will acquire with OnTESOL will help your students learn English faster! 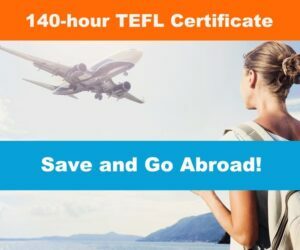 4- Accredited TEFL Courses Under $300! Get your TEFL certification online to meet work visa and TEFL job requirements. You don’t need to spend $2,000 on a CELTA certification course if you are an entry-level teacher who is planning to teach English abroad for a year or two. The accredited TEFL certification courses offered by OnTESOL are perfect for gap-year teachers who want to get certified quickly to teach English abroad.